Proving that last year's skunkworks Project Sputnik effort wasn't a one-off experiment, Dell has upgraded its Ubuntu Linux–powered XPS 13 Developer Edition laptop to include a new, higher-resolution screen. When the Developer Edition XPS 13 first shipped in November 2012, it came with a 13.3-inch panel with a 1366-by-768 pixel resolution. The new version that was announced on Monday packs a new, full-HD display that not only runs at 1920-by-1080, but is also brighter and offers wider viewing angles. Everything else about the laptop remains the same. It still has a third-generation Intel Core i7 processor with Intel HD 4000 graphics, 8GB of RAM, and a 256GB SSD; it weighs just 1.36kg (2.99 lbs). Like the original version, the new XPS 13 Developer Edition is a collaboration between Dell and Canonical, makers of the Ubuntu Linux distribution, which built a custom OS image complete with high-quality drivers for the bundled hardware. The project began as a public beta program, in which Dell solicited feedback from developers about what they would like to see in their ideal notebooks. The effort garnered enough interest and support that Dell was eventually convinced to bring the resulting concept laptop to market. At the time, a top gripe among Reg readers was the XPS 13's low screen resolution – and, given that most developers we know prefer extremely high-resolution monitors, if not multiple screens, the increased screen resolution on the new version of the Developer Edition might be just what's needed to win over more buyers. 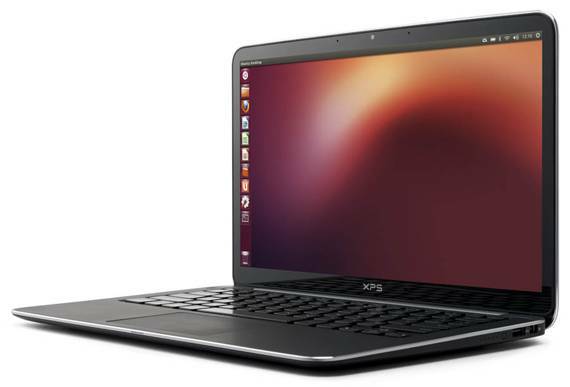 According to Canonical, the new model is available for sale now in the US and Canada for $1,549, the same list price as the previous version. Canonical says the updated XPS 13 is "also available across Europe, parts of the Middle East and Africa," though it didn't offer direct purchase links for countries outside North America.